Yeah, I know it hasn’t been that long since the last time Cocktail Spy talked about tequila. It’s one of my favorite base spirits. It can be great alone on the rocks, or as part of a cocktail. And of course, few things make you feel quite so youthful as tequila shots. By the way, have you ever met anyone who said “I can’t drink tequila; it makes me crazy!”? There actually may be something to that. For some people, the agave in tequila can make the alcohol more stimulating than other spirits. Summer is the ideal time to enjoy the tartness of tequila, and there are a couple other seasonal drink trends I thought would be fun to work with too. Like sparkling wine. 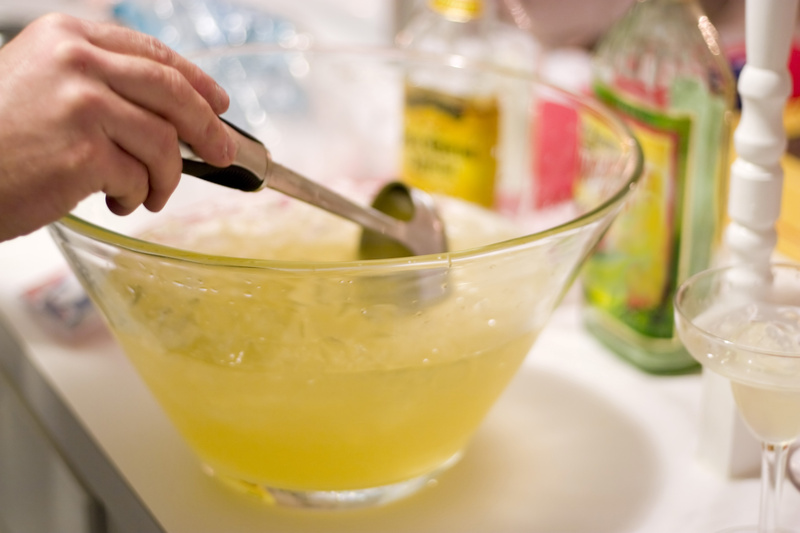 And big punchbowl cocktails. Both perfect for all the graduation celebrations and other end-of-year festivities. Combine the tequila, white wine, and agave. Marinate the fruit and mint in this mixture in the fridge for a few hours. When you're ready to serve it, top the pitcher(s) off with the sparkling wine and a splash of soda. You can skip the soda if you’re looking for a more potent cocktail. I had a friend make this recipe recently without it. She said it was sophisticated without being fussy and will definitely make it again. I need to throw a party so I can do the same. PS - I take requests for both the drink of the month and the recipes page. If there’s something you’d like a recipe for, let me know at @cocktailspy (Twitter and Instagram), post them on the CocktailSpy.com Facebook page, or email them to thecocktailspy[at]gmail.com. For more top cocktail recipes, click here, or check out some of the previous cocktails of the month below.